Far Niente Winery is located in Oakville, an area famous for Napa Valley Cabernet, and home to our estate Martin Stelling Vineyard from which we’ve been producing our Cabernets since 1982. The Martin Stelling Vineyard, located behind the winery in Oakville, is the cornerstone of Far Niente Cabernet Sauvignon. Planted on some of the most beautiful, gravelly loam soil in the Napa Valley, the vineyard uniformly produces wines with supple tannins, bright, forward fruit, and beautiful tannin structure. The 2016 growing season began with a mild January, followed by a warm and dry February. While budbreak was relatively early, the arrival of early spring rains in March helped to steady growth. Spring brought moderate weather with very little frost pressure but later rain showers during bloom made for variable yields. Variability continued to be a factor through summer with big swings in temperature (hot, then cool, then hot again). In August and September, mild days were followed by cool nights and foggy mornings. A little warm up in late September kick-started harvest on the 21st, and we finished by mid-October when cooler days and cold nights brought an end to the season. Beautiful aromas of blackberry and boysenberry pie, cassis, licorice and sweet anise, pair gorgeously with hints of lightly toasted oak in the 2016 Far Niente Cabernet Sauvignon. A silky entry transitions to a very smooth midpalate with flavors of mixed berry fruit, light toasted oak, and sweet licorice. Well-structured and polished, this wine is filled with juicy acid and fine grain tannins that melt into a long mouthwatering finish. The cornerstone of our Napa Valley Cabernet Sauvignon, the Martin Stelling Vineyard in Oakville is planted on beautiful, gravelly loam soil and produces wines of supple tannins, bright, forward fruit and considerable depth. Martin Stelling Vineyard is located behind the winery against the western hills of Oakville and is planted to Cabernet Sauvignon and Petite Verdot. The vineyard is named for Martin Stelling, the previous owner of the land, who, in the 1950s, presided over what was reputed to be the largest fine wine vineyard in the world, comprising over 5000 acres in the Napa Valley. Unfortunately, Mr. Stelling met an untimely death and never made wine from his vineyards; his holdings were sold off in parcels. 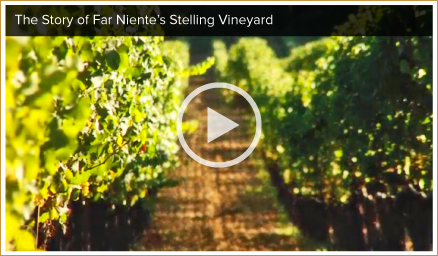 The acreage surrounding Far Niente was named for Mr. Stelling and was planted finally in 1978. The first vintage of Far Niente Cabernet was harvested from the Stelling Vineyard in 1982 and the vineyard has been the foundation of our Cabernet program ever since. 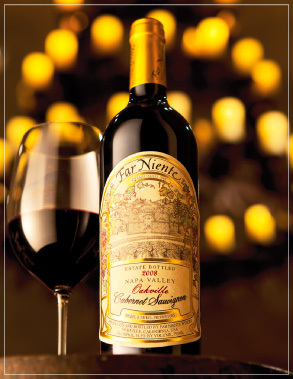 Far Niente Cabernet Sauvignon embodies our passion and commitment to making the very best wine possible. Through the natural and human-directed factors in the winemaking process emerges the recognizable Far Niente house style. While each of our wines exhibit the characteristics of its particular vintage, when tasted over a range of vintages the wines are ideally kissing cousins in style and presentation. The result is classically structured Cabernets that are rich in texture, layered in flavor, complex and long. Our Cabernets display the typical cassis and blackberry notes along with spicy oak aromas that have become synonymous with the Far Niente house style. Time enhances the flavors and nurtures the bottle bouquet, offering elegance, and earning Far Niente the reputation for creating age-worthy wines. 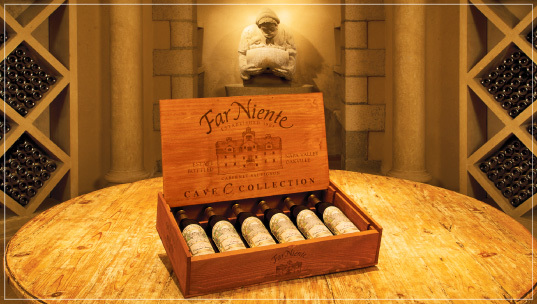 Far Niente wines are renowned for their ability to age, and each year through our Cave Collection, we release a limited allocation of our library wines.